Throughout your financial journey, you are sure to come across road blocks along the way. How you deal with these disputes can set your course for the future, whether good or bad. 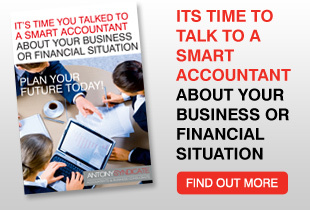 Antony Syndicate are the team to turn to for superior forensic accountant services in Sydney. Our forensic accountants are the best in the industry, providing logical and objective advice on all areas of tax auditing, fraud, acquisition, divorce and much more. We work with a wide range of clients, including individuals, businesses, lawyers and government departments. The term Forensic simply means that our accountants work to a standard that is suitable for use in Court, providing evidence and expert advice when required. A combination of superior accounting, auditing and investigative skills enable us to determine the true financial scenario of your case. We often provide expert evidence in trials, therefore our accountants have an intimate understanding of courtroom proceedings too. You can trust our honest and lawful accountants when it comes to Tax Audits. Our tax record is squeaky-clean so you are dealing with a safe and reliable team. We assess accounting systems of businesses to ensure the presented financial scenario reflects the reality. We can also assist in setting up anti-fraud accountancy systems to prevent further fraud. Our track record speaks for itself, and we pride ourselves on our reputation for excellence. So if you require a great forensic accountancy service, realistic advice and cost-efficient services, call the experts at Antony Syndicate on 9648 6880.